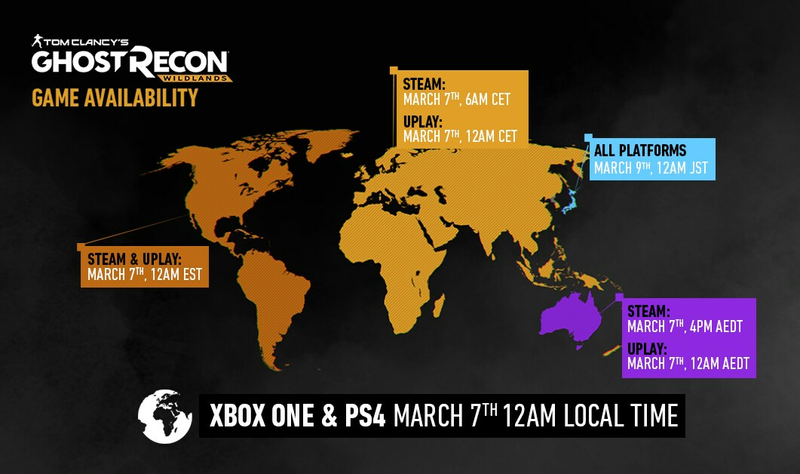 As you all know, we’re getting close to the official release date of Tom Clancy’s Ghost Recon® Wildlands, and your mission in Bolivia is about to begin in a few days. The development team is extremely excited to invite you to play the game we’ve been working on for more than five years now! To ensure your deployment to fight the Santa Blanca Cartel is smooth, here is information you need to know about the game availability. If you have purchased your game at a local retailer, please make sure to download the Day 1 patch to get the best experience. For the latest news, follow us on Twitter and don’t forget to share your best Tom Clancy’s Ghost Recon Wildlands moment by using the #ghostrecon hashtag! 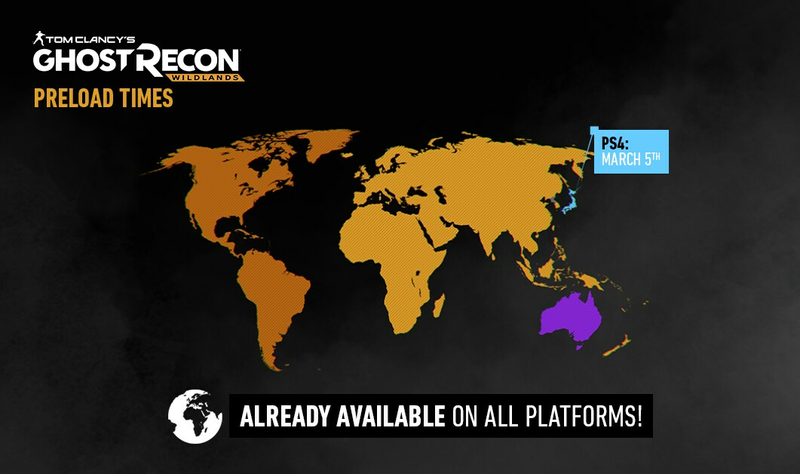 Once you have registered the game, don’t forget to create your Taskforce and plan your upcoming game sessions with your friends on the Ghost Recon Network. Download the free Tom Clancy’s Ghost Recon Wildlands HQ app, already available on the App Store and the Google Play Store, to discover more information about the story of the game and start earning resources while helping the rebels in the Guerrilla mini-game. Again, thank you for your support and passion, Ghosts! We are looking forward to seeing you in the wildlands.